Waste Management announced that its subsidiary WM Healthcare Solutions, Inc. is acquiring a medical waste processing facility in Phoenix, AZ. Terms of the deal were not disclosed. The seller is Milum Textile Services Co., a provider of linen services and medical waste collection and treatment services. The 35,000 square-feet facility, which includes a 30 ton per day autoclave unit, currently serves 250 licensed healthcare facility customers. "Our acquisition of Milum's medical waste autoclave facility is another step forward in growing our medical waste business," said Mike Archer, general manager of WM Healthcare. 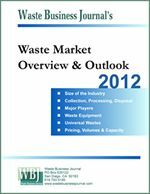 Beginning in late 2008, Waste Management began a series of acquisitions in the medical waste services arena with an eye towards building its credentials as a full service provider able to offer its customers a complete portfolio of waste and resource management options. Last month, WM acquired certain Midwestern assets of MedServe, Inc. that were required divestitures of Stericycle which recently acquired that company. Last October, WM acquired Mountain High Medical Disposal Services, Inc., a medical waste firm serving the Salt Lake City area and Idaho. In April, 2009, WM bought PharmEcology Associates, a medical waste consulting firm. In March 2009, WM bought a medical waste operation in Woodstock, GA. In November, 2008 WM bought Spectrum Environmental Solutions of Escondido, CA. WM Healthcare Solutions, Inc., a subsidiary of Waste Management, Inc. (NYSE: WM), today announced that it has acquired a medical waste processing facility and certain other medical waste business assets located in Phoenix, Arizona, from Milum Textile Services Co., a provider of linen services and medical waste collection and treatment services. Terms of the deal were not disclosed. The purchase of the medical waste autoclave facility fits into Waste Management's strategy to manage solid waste, medical, recycling and pharmaceutical waste for the healthcare industry. The 35,000 square-feet facility today serves approximately 250 licensed healthcare facility customers, employs six people and has the capacity to process 30 tons of medical waste per day. "Our acquisition of Milum's medical waste autoclave facility is another step forward in growing our medical waste business," said Mike Archer, general manager of WM Healthcare Solutions. "This investment represents an important strategic opportunity to offer disposal options, consulting and cost savings for hospitals, clinics, laboratories, doctors' offices and a variety of other healthcare businesses in Arizona. Our integrated solutions approach allows us to not only provide safe medical waste treatment and disposal services, but also solid waste, recycling, and construction and demolition materials collection, processing and disposal services to the healthcare industry. The acquisition also adds to our capacity and geographic presence to treat and manage waste from healthcare customers," Archer said. WM Healthcare Solutions, Inc. (WMHS) is a subsidiary of Waste Management, Inc. that provides a complete range of sustainable and cost-effective managed waste and environmental solutions specifically designed for the healthcare industry. 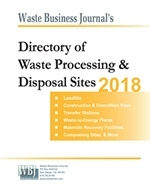 WMHS aims to be the single source provider of operational and consulting services required to handle the healthcare industry's complex waste streams from compliance, safety, and risk assessment to in-house operational logistics, market assessment, and collection and processing for a variety of waste streams.